Our goal is to be committed, to treat all valued guests and our own team members with compassion, excellence and with quality of care. Our professionalism drives us to provide restoration, rejuvenating and a rewarding experience. 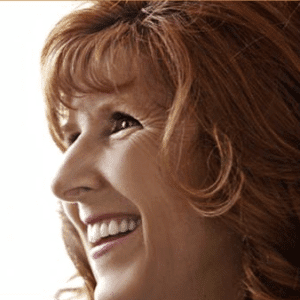 Anne has been in the dental field since 1990 as a Certified Dental Assistant. She returned to school in 2001 to become a Registered Nurse. 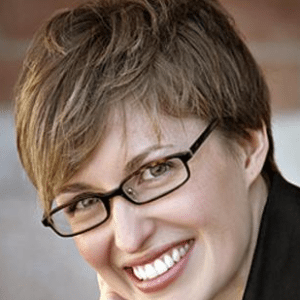 Although her career has changed, dentistry has remained a major part of her life. Anne also participates alongside the team in many dental continuing education courses including The Las Vegas Institute for Advanced Dental Esthetics. Anne is excited to be part of a team that has exciting technological advances and training, enabling them to provide an optimal level of care to their patients. Anne loves spending time with her four kids and husband. She also enjoys traveling and watching hockey “GO HABS GO”. Jessica grew up in a small town called Flinton with a population of about 200! She went to Durham College in Oshawa for Dental Assisting and afterwards decided that Ottawa was where she wanted to be. Jessica has been in the dental field just over 4 years now and has enjoyed every minute of it. Jessica joined Villanova Dental Studio in November 2013 and is excited to be a part of such a great team. When not at work she enjoys spending time with her friends and family. Jillian joined the Villanova team in June of 2016 and is excited to be part of such an amazing group! Born and raised in the country, near the small town of Arnprior, she never strayed far from home. After completing her Dental Assisting and Medical Office Administration programs, she settled down just outside of her hometown and is enjoying raising her family. Courtney joined the Villanova team in June of 2016. She provides reception and administrative support while using her extensive experience of putting the needs of others first. This has allowed Courtney to become a well-rounded individual who is both passionate and dedicated to our patients. Courtney enjoys the rewarding feeling of welcoming new and existing patients into the Villanova Dental Studio and sets high standards for herself as well as the entire reception team. Outside of the studio, Courtney is a mom to two little boys and keeps very busy chasing after them. When she’s not running after her children or pets, Courtney loves playing competitive sports and staying active. Natalie joined Dr. Barakat’s team as a patient coordinator in May 2010. She graduated from Algonquin careers academy as a medical/dental office assistant with honors. 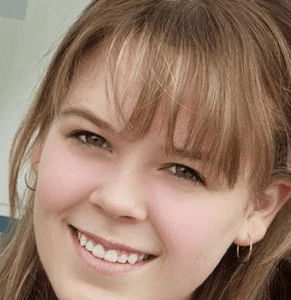 Natalie grew up in Ashton, Ontario for most of her life. She enjoys being outdoors most of her spare time as well as spending time with her family and friends. Her goal at the Villanova Dental Studio as a patient coordinator is to ensure patients receive quality care and have all their needs met. Natalie enjoys working for Dr. Barakat and his incredible team here at the Villanova Dental Studio, while learning all the latest in Dentistry. she has learned along the way and continue to learn through continuing education with Dr. Barakat and the team. Shelley grew up in Dalhousie, NB and moved to Ontario in 1995. She enjoys camping, boating and spending time with her husband Don and their beautiful boys Thomas and Colton. Shelley’s goal at the Villanova Dental Studio is to ensure that every patient receives the utmost level of care that all our patients deserve and that all their needs are met. Kelsey joined Villanova Dental Studio in February 2015, she graduated Dental Assisting with honours at Algonquin College in 2013. 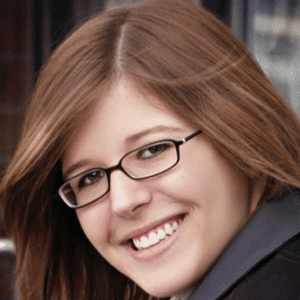 Since having orthodontic treatment done in high school she always knew that she wanted to work in the dental field as her experience helped her appreciate the impact of a healthy & happy smile. Patient care is Kelsey’s number one priority & giving the highest quality of care. In her spare time she likes to horse back ride and spend time in her home town of Kinburn, Ontario with her Boston Terrier & Pug. Melissa is originally from Carleton Place, Ontario. She joined the Villanova team in 2008 as an eager Certified Level II Dental Assistant. Melissa later found her calling as an Administrative professional. Melissa knew she wanted to be in the dental field after having orthodontic treatment as a young teenager. Having seen firsthand how a healthy smile gave her the confidence and had impacted her life, she knew she wanted to be a part of sharing this with others. Melissa takes great pride in her job, is very organized and likes to have things run in a smooth manner. Melissa prides herself on providing the best patient care possible. In Melissa free time, she likes to be outdoors hiking, or 4 wheeling as well as spending time with her family, friends and her 4 pugs! Julia joined the Villanova team in August of 2018. Her nearly ten year long career in customer service has given her the skills she needs in order to make sure every patient gets the utmost care and attention possible. She has a real passion for helping others, and loves to do so in any way, shape or form. Although new to the dental field, she is eager to learn from Doctor Barakat and his amazing team, and takes pride in doing so. Julia was born and raised in Ottawa, but studied at Concordia University in Montreal for four years. She loves to travel and spend as much time as possible with her family, friends and pets. Julia couldn’t be happier to have the privilege of being a part of such a dynamic and hardworking team! Christine, a registered Dental Hygienist, joined our team at the Villanova Dental Studio in the fall of 2009. Born and raised in Sudbury, Ontario, she graduated with honors from the dental hygiene program at Cambrian College in 2004. She began her dental hygiene career in Sault Ste Marie, Ontario, where she practiced for 5 years before relocating to Ottawa. Committed to providing excellence in dental care, Christine regularly attends continuing education courses to keep her current with new dental technology and techniques. This allows her to provide the highest quality of care and education to her patients. Christine’s excellent sense of humour and pleasant professional manner makes patients of all ages feel welcome. She enjoys helping them maintain and achieve optimal oral hygiene thereby contributing to the well being of their general health. Not only does Christine have a passion for the dental field, but a great big heart for pets! She is the proud owner of two beautiful cats, Summer and Lilly. Emily is a Registered Dental Hygienist who has just joined Dr. Barakat’s wonderful team in April 2012. Emily started her career in dental in 2003 after graduating with honours from Algonquin Colleges Level Two Dental Assisting Program. Having the opportunity to go back to school to become a Dental Hygienist was something that Emily worked hard for and graduated from Algonquin College again with honours in 2007, and has been loving her career choice ever since. Emily is committed to providing quality care and excellence for patients by keeping her skills and knowledge current through continuing education. Emily’s passion for the profession is evident in her eagerness to learn about all the latest dental technologies and techniques. Emily strives to make the dental experience of all patients a pleasant one through her calm and caring nature. Emily moved to Ottawa for school in 2002 and has since fallen in love with the area and stayed. Growing up in small towns, Emily knew she wanted to live outside Ottawa but still in this area and Emily and her fiancé now live in Renfrew, ON. Outside of her career, Emily and her fiancé recently moved into their first home and had their first child Jack in December 2011. Emily loves spending time with family and friends, being a mother and planning for renovations .Emily enjoys camping and being outdoors, reading, her pets and also has a knack for crafting. Passionate about dental hygiene, Karine is gentle, compassionate, patient and well organized. She has strong technical skills and enjoys communicating with her patients in both French and English. She values all opportunities to learn the newest techniques available. Karine welcomes her patients with an endearing smile which immediately puts everyone at ease. She individualizes patient care while providing customized information on both oral hygiene and overall health. Karine practiced Dental Hygiene in Quebec before moving to Ottawa. She is a proud member of the Villanova team. Karine appreciates the high standards set by this group, the use of new and advanced technology, the pleasant environment and the opportunity to work with a dynamic team of professionals who are dedicated to providing exceptional dental care. Karine is a lover of arts and culture, with special interests in artistic photography. She also enjoys travelling, creative cooking and spending time with friends and family. Kristy recently joined the team here at the Villanova Dental Studio in July 2010. Kristy began her career in the dental field after graduating from the Dental Assisting program at Niagara College in 2001. She went on to further her education by taking the Dental Hygiene program at Algonquin College. She graduated with honours in the year 2003 and has been working as a registered dental hygienist for seven years. Kristy is excited to advance her career path at the Villanova Dental Studio. She shares the passion for learning and continuing education with Dr. Barakat and all of his team. She is proud to be able to provide quality patient care by using the most current technology in a modern environment. Kristy is dedicated to making your dental experience a pleasant one! Aside from dentistry, a few of Kristy’s other passions include spending time with family and friends, keeping fit, running, snow boarding and traveling. Niki was born and raised in Kingston, Ontario and moved to ottawa to start her dental assisting course at Algonquin College in 2008. Working for 6 years as a dental assistant before embarking on her journey to become a Registered Dental Hygienist gives her a well rounded perspective on all aspects of dentistry. During her time at the Canadian National Institute of Health, she excelled at her dental hygiene course both scholastically and interpersonally within the classroom and the clinic. She was selected by her class mates to represent her class at school meetings and brought forward any concerns or issues students had to the administrative team. She is excellent at making relationships and tailoring all dental hygiene appointments to each individuals needs. 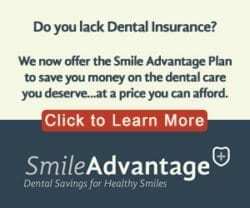 She graduated as class valedictorian, with her bright outlook on life and her positive attitude in tow has continued to persevere as a Dental Hygienist. We are proud to have her as a part of our dynamic team here at Villanova Dental Studio. education and her ability to put patients at ease. She is dedicated to providing patients with the utmost of quality care, in a gentle and relaxed manner. Staying current in dental technology is very important to Tamara and through continuing education she is able to provide patients with the latest in dental hygiene advancements. Her goal is to tailor your dental hygiene care to best meet and maintain optimal oral and overall health. Tamara loves spending her free time with her husband and two year old daughter Avery. She enjoys traveling, cooking and decorating her new home. As dental assistants it is our desire to provide the most advanced and proven technologies available today to our patients. 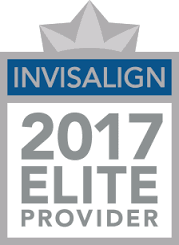 We are a place for patients and professionals to work together to help you achieve a common goal in your dental health. We also strive to make every patient that walks into our practice leave feeling comfortable and confident with the care that has been provided. Hi my name is Cathy. I am one of Dr. Barakat’ s Dental Assistants here at the Villanova Dental Studio. I joined this wonderful team here in 2007. I am a Level 2 Dental Assistant who graduated from CDI College with honours. One of the many things that I enjoy here at the Villanova Dental Studio is that Dr. Barakat is always learning the latest in Dental. I enjoy going on continuing education courses, which allow me to keep my skills up to date as well as learning about the latest and the newest technologies this office has to offer to our wonderful patients. I am very dedicated to making every one of our patients feel comfortable and relaxed as they can be during their visit here at the Villanova Dental Studio. Jean joined the Villanova team in February of 2016. She completed her Dental Assisting program in 2010, at Everest College, and graduated with honours. She is excited to join such an exquisite team that is both patient-centric and committed to continuing education. Jean grew up in a small town where she still resides with her two children. She loves spending time with her family and friends, playing sports and enjoying the great outdoors. Kayla joined the dynamic team at the Villanova Dental Studio in January 2011. She graduated as a level two dental assistant with honours and has been working in the dental field since 2008. She enjoys learning and sharing her knowledge of dentistry through her continuing education as well as providing patients with the highest quality and gentle care. Helping to create healthy and bright smiles for her patients shows she’s passionate about her career. In her free time she enjoys being with family and friends. She loves traveling, rollerblading, camping, shopping, going to the gym and spending a lot of time outdoors. With her energetic and outgoing personality she loves being around people and making them laugh. Kayla brings a lot of determination and enthusiasm to the Villanova Dental Studio. Her goal is to continue to excel in the latest advances in dentistry with Dr. Barakat’s team. Erica was born and raised in Ottawa and began her career as a certified dental assistant July 2014 in Oral Surgery. From there she began to explore all other aspects of dentistry and developed her skills in the field of general dentistry. She continues to explore new learning opportunities and develops her skills as a dental assistant through continuing education courses. Her top priority is patient comfort through all procedures, and she tries to do everything she can to keep her patients comfortable and happy. In her free time, Erica enjoys volunteer work to help give back to the community and keeping active through many different sports. Erin joined Villanova in January 2018 and values her opportunity to work with wonderful patients and coworkers. She graduated from the Canadian National Institute of Health in Dental Hygiene with honours. During school, she was nominated to be the class representative by her peers. Erin has been working in customer service for over 15 years and has found her passion in dentistry. She prides herself in building good rapport with her patients while working together to obtain their optimal oral health. She has a passion for people and it shines through her excellent patient care and treatment. She is dedicated to providing quality care in a gentle and comfortable manner. Erin grew up in Richmond with four brothers and sisters. She now lives in Stittsville with her husband and their two cats. During her spare time you can find her enjoying the outdoors and spending time with family and friends. Erin always has a smiling face to greet you and looks forward to welcoming new and previous patients. Staci is part of the Villanova team as one of the Registered Dental Hygienists. She was born and raised in Newfoundland, and moved to Ottawa for hygiene school in 2016. After graduating from the Canadian National Institute of Health, she decided that Ottawa was where she wanted to start her career. Staci’s interest and love for the dental field was sparked when she was just 8 years old, going in for her first orthodontics appointment. Since then she has always known she wanted a career in the dental field, and she is so grateful that Villanova Dental Studio is where she gets to do what she loves. Staci is excited and eager to be a part of the Villanova family, and she can’t wait to meet all of her new clients! 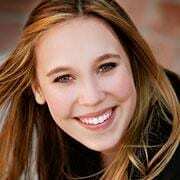 Danielle Legoueff is a Registered Dental Hygienist that joined Villanova Dental Studio in September of 2018. She graduated with honours from The Canadian National Institute of Health, and is excited to be apart of such an amazing team. Danielle grew up in the Ottawa area and worked as a dental assistant for 4 years before deciding to become a dental hygienist. She loves working with people and getting to know her patients. Danielle strives to provide the best care for her patients by continuing her education and staying current with new technologies. She is passionate about her profession and takes pride in her patient’s satisfaction with care. It is her goal to make every patient experience at Villanova Dental studio a pleasurable one. Born and raised in Stittsville, Meghan Inderwick is a Registered Dental Hygienist and a recent graduate of the Algonquin College Dental Hygiene program. Meghan is thrilled to be able to practice dental hygiene in her community and especially at Villanova Dental where she will have opportunities to continue to expand her knowledge of dental care. Patients’ dental health and comfort are Meghan’s key focus. With a long history of working with the public, she loves bringing smiles to clients’ faces, especially children! In her spare time, Meghan volunteers at CHEO. Liz joined the Villanova Dental Studio in January 2019. She graduated as a fully qualified dental assistant in 2014, and since then has gained expertise in many realms of the field – both clinical and clerical. She is delighted to have landed at Villanova, because here she feels she has met with the best in the dental industry; a clinic that, amongst many things, rewards their team with continuing care education and provides the best possible care to patients. Liz brings a passion for life, health, travel, and music to the Villanova team. When she is not at work she might be found brewing kumbucha, trotting the globe or discovering different parts of Canada, and, at all times, enjoying the wondrous marvels of life.